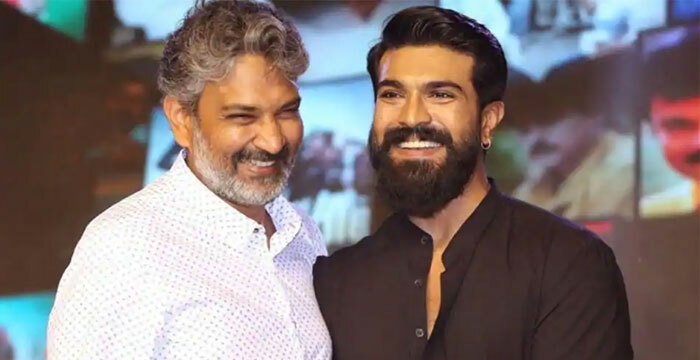 Ram Charan's Name Revealed in RRR! India's biggest multi-strrer RRR's regular shoot is underway. According to a hearsay, Mega Power Star Ram Charan's name has been confirmed as 'Rama Raju'. Since this name happens to be part of great patriot Alluri Seetharamaraju, mega fans were excited hearing the name of Ram Charan in the film. Ram Charan will be seen as a patriotic police officer under the British regime. Currently, a terrific action sequence is being shot on Ram Charan and 1000 junior artists. Meanwhile, another protagonist of the film Young Tiger NTR will join the sets again in the next schedule. Keeravani is composing music. This Rajamouoli's directorial venture is being produced by DVV Danayya on DVV Entertainments.